For the gigging guitarist or bassist, the CHROMATIC TUNER TU300 is an absolutely essential piece of gear that goes above and beyond the capabilities of ordinary tuners. No matter what musical situation you find yourself in, the TU300 is always ready to help you put your best performance forward! Most guitarists and bassists tune to standard tuning: (low to high) E, A, D, G, B, E for guitar and E, A, D, G for bass. Still others like to detune their instruments for access to lower notes and increased string flexibility. No matter what you prefer, the TU300 can accommodate. 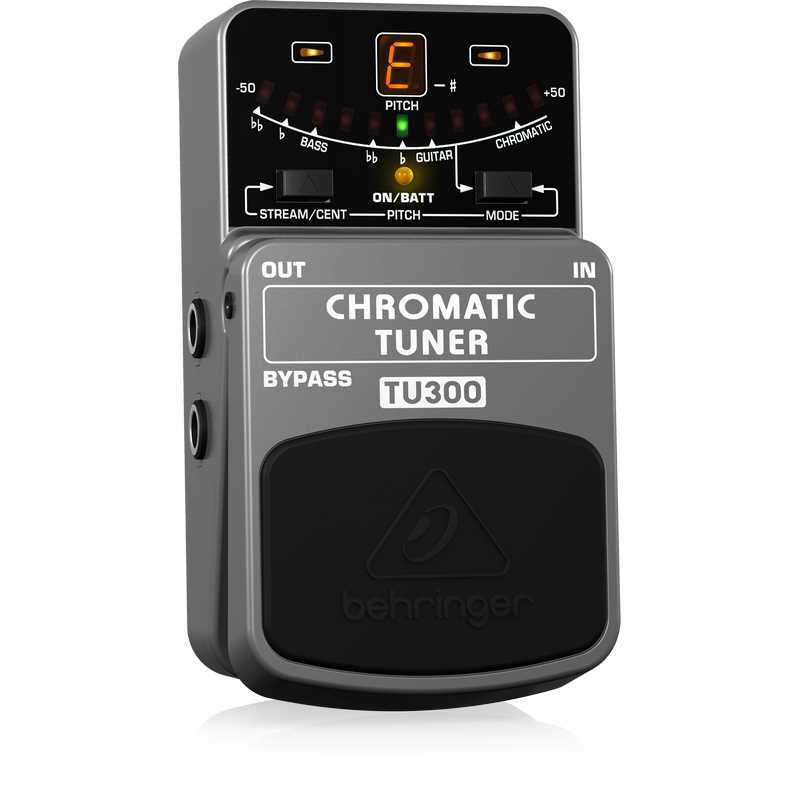 That’s because this amazing TU300 gives you 3 guitar modes (regular, flat, double flat), 3 bass modes (regular, flat, double flat) and a chromatic setting. Whether you stay in standard tuning, detune, or tune to an exotic tuning of your own design, the TU300 will get you there quickly and accurately. To begin tuning, simply stomp the TU300’s footswitch. The single-digit LED display shows which note it’s reading and the 11-point stream guarantees accurate tuning. TU300’s super-bright display panel makes it easy to tune – even in the darkest club! The main Out jack allows you to cut the signal to your amp while you tune, or you can send a constant signal from the Bypass output. The status LED tells you when the TU300 box is activated and the solid electronic on/off switch maintains incredible signal integrity in bypass mode. You can power this pedal with a standard 9 V battery or our PSU-SB DC power supply. 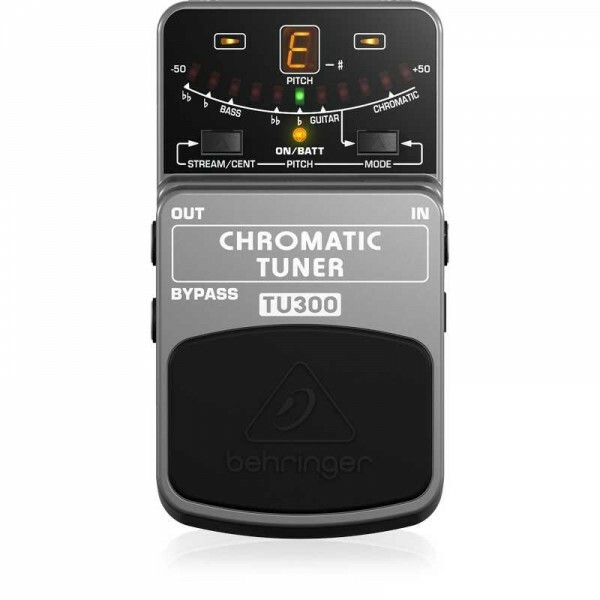 Tune up quickly and easily with the CHROMATIC TUNER TU300. 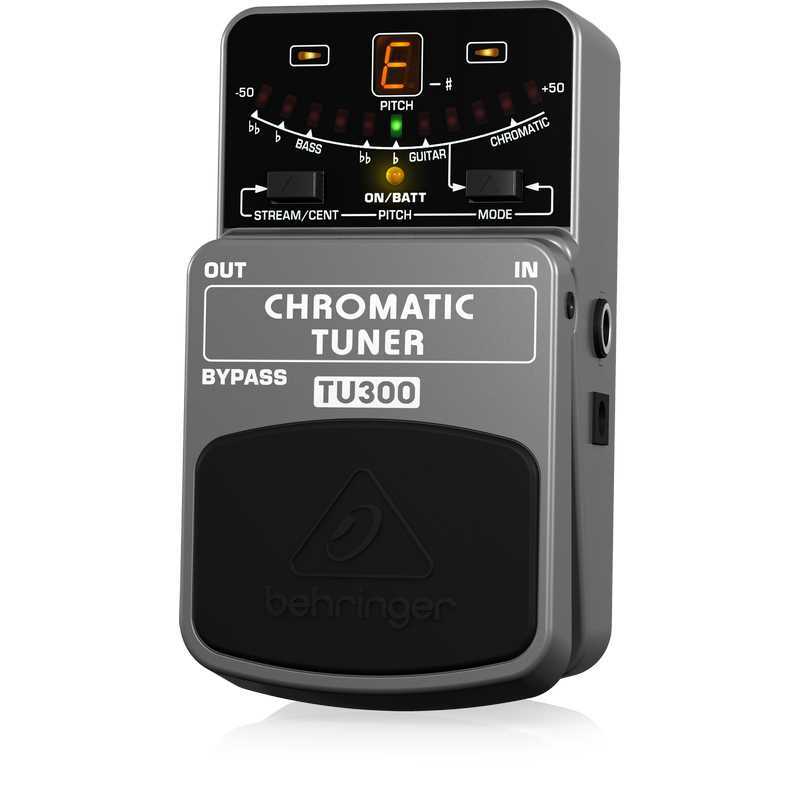 Check out this little lifesaver at your nearest BEHRINGER dealer, or grab several TU300s online to outfit the whole band!